At home I own a couple of coffee makers with grinders and of all of my coffee makers, my favorite would be my capresso unit. First of all this unit is very durable and I am very happy that it has lasted my a couple of years even when I use it everyday. 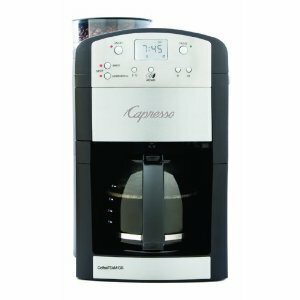 Then, it is also very user friendly, I have tried other coffee machines in the past and it is very hard to operate and you have to read the instructions thoroughly to be able to use the machine. With the capresso, it is as simple as operating a toy.